The Darkness is coming. Mankind's last hope is the underwater stronghold of Pacifica. Now a ship that was on a mission critical to Pacifica's future has gone missing and Captain Jay McNair is given the task of finding her - at any cost! Unseen forces conspire to impede his mission at every turn. The seas of Pacifica have turned into hostile waters. this series thrust you right into the action with the wonderful way it's written and the excellent narration. I would love to see this as a TV series. I was surprised at the amount of action adventure and intrigue that was in this book. The emotional roller coaster of the main character was probably one of the most intriguing things I've heard in a while. The narrator did a fantastic job with the different voices that made you believe what was happening. 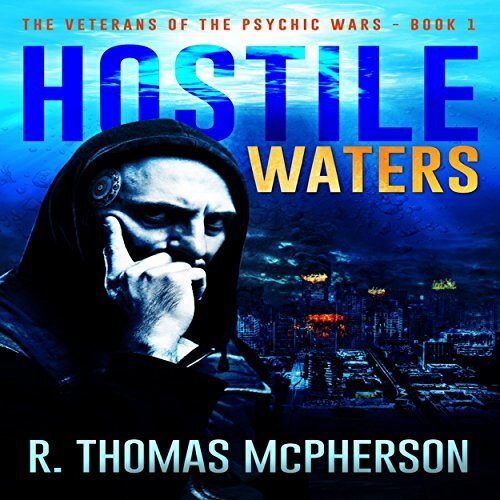 Would you consider the audio edition of Hostile Waters: Book 1 to be better than the print version? I didn't read the book but I can tell you that listening to the audio is so much better for me. I don't see well enough to read for long periods of time and audio allows me to continue with the story for as long as I wish. What about William L Sturdevant’s performance did you like? William L Sturdevant did a wonderful job of keeping me entranced by the story-line. He has a wide range of character voices and I enjoyed getting to know each one of his characters.